The United States said Friday it was making permanent its decision last year to withdraw 60 percent of its diplomats from Cuba, citing a need to protect American personnel from what the State Department calls "health attacks" that remain unexplained. Citing mysterious "health attacks" in Havana, the United States said Friday it was making permanent its withdrawal of 60 percent of its diplomats from Cuba as investigations continue. The six months expire Sunday. So the department said it was setting in place a new, permanent staffing plan that maintains a lower level of roughly two-dozen people — "the minimum personnel necessary to perform core diplomatic and consular functions." 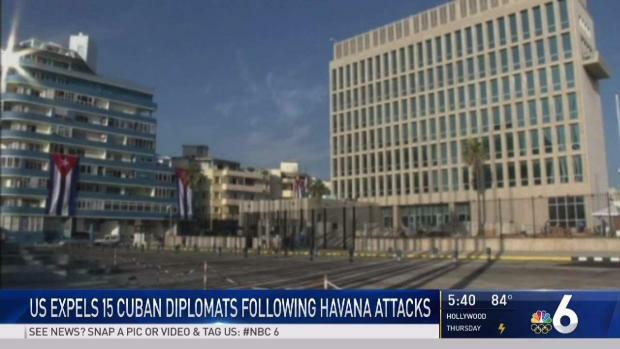 The department also said that the embassy in Havana would operate as an "unaccompanied post," meaning diplomats posted there will not be allowed to have spouses or children live with them in the country. Secretary of State Rex Tillerson signed off on the permanent plan for reduced staffing out of concern for "the health, safety and well-being of U.S. government personnel and family members," the department said in a statement. "We still do not have definitive answers on the source or cause of the attacks, and an investigation into the attacks is ongoing," the department said. In late 2016, U.S. Embassy personnel began seeking medical care for hearing loss and ear-ringing that they linked to weird noises or vibrations — initially leading investigators to suspect "sonic attacks." An interim FBI report disclosed by The Associated Press in early January said the investigation has uncovered no evidence that sound waves could have damaged the Americans' health. But Tillerson has said he's still convinced the diplomats were hit by deliberate, specific attacks targeting their health. 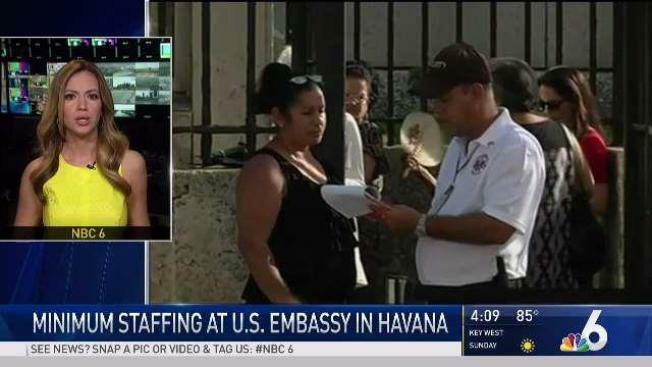 The downsizing of the embassy staff — along with a travel warning the U.S. issued warning Americans to reconsider travel to the island — have had significant effects for Cuba's economy and for its citizens. With fewer employees on hand, the U.S. Embassy in Havana halted visa processing, forcing Cubans who wish to visit the United States to seek visas through U.S. embassies in other countries. The U.S. is also expected to fall far short of granting the 20,000 immigrant visas to Cubans that have been allotted annually for decades.